Our last day was mostly a travel day. An afternoon flight back home would soon put Israel behind us. But I was focused on what was ahead. I was taking so much back. About 10 to 15 extra pounds of souvenirs in our luggage, yes. But also memories, experiences, perspectives, and moments to last a lifetime. 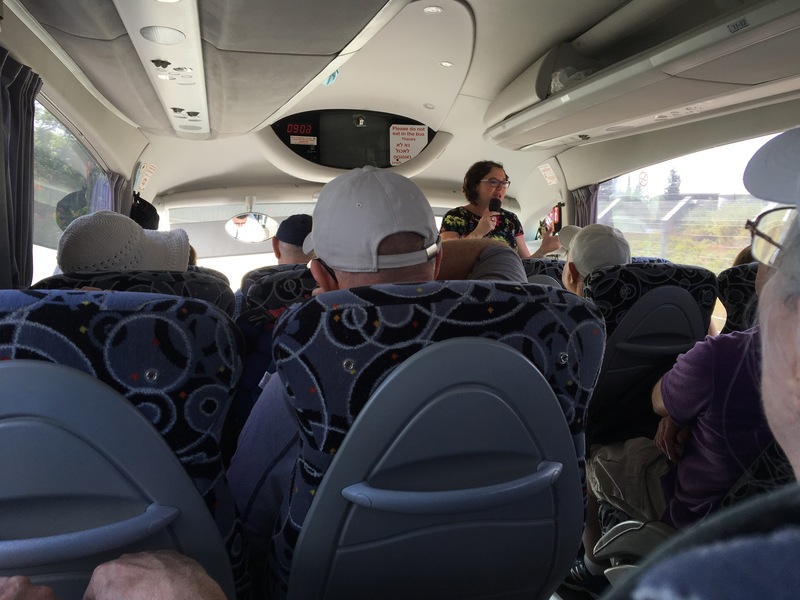 We were shepherded to the airport that morning by our fearless leader, Lana. Lana Zilberman Soloway came to Israel in 1990 after she and her family left Moscow, just before the collapse of the USSR. I seriously can’t say enough good things about her. She exudes so much passion for Israel, its people, its history, and its future. She knows her stuff. She knows the Holy Land inside and out. She knows just what points to make. And she knows how to leave a mark. Even though she’s likely visited the same sites and told the same stories dozens and dozens of times before, she approached each of our stops with such a raw and honest enthusiasm — I could swear she was experiencing it for the first time. As our main captain for 10 straight days, she commanded our demanding schedule with ease. Kind, entertaining, and enlightening. Always with the perfect blend of history and heart. While sitting with her family in a bomb shelter during the Gulf War, she learned the Hebrew language and developed an interest in Jewish and Israeli culture. Later on, she became an Intelligence Officer in the Israeli Army, and served in the Gaza Strip during the Second Intifada. 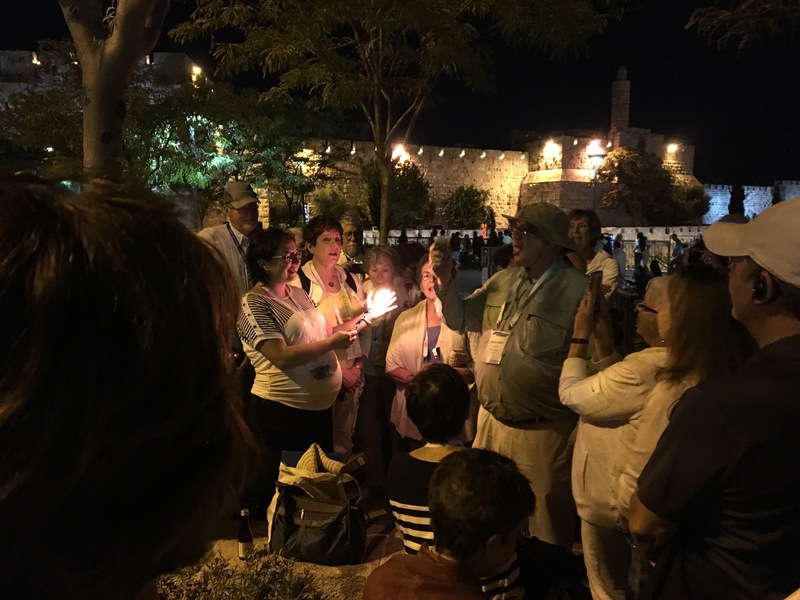 After a brief sojourn as a professional musician, she has dedicated her life to helping others explore the Holy Land and to spreading her love of pluralistic Zionism and Judaism to all comers. Lana has a real knack for making personal connections in a short amount of time. I feel so fortunate to have met her and to have seen this special place for the first time with her. Before we left for Israel, back in Cincinnati, Temple Sholom held a special service for everyone going on the trip. We were each given a one-dollar bill with instructions to donate it to a charity, or to someone, or some place when we felt moved to do so. The “mitzvah dollar” is a popular Jewish custom. A mitzvah is a good deed or charitable act. The original tradition is to give a coin to a traveler for protection. According to Jewish belief, there is extra protection given to someone who is on their way to perform this act of kindness. Since I now had this dollar, and this charge to perform a mitzvah, I would get that extra protection — meaning a safe trip to and from Israel. I had so many opportunities to give away my dollar. I visited amazing organizations doing outstanding work. But in the end, I felt compelled to give my mitzvah dollar to Lana. She has the opportunity to make an impression on so many people. And she uses that power for good. I don’t take that work, nor its impact, for granted. She deserved my mitzvah. For educating so many people about her country. For spreading so much passion to everyone she meets. For just being a great human and making this world a better place in her own little ways. I know she’ll put it to good use. This entry was posted in Personal, travel and tagged Israel, Israeli history, Q&A, tour guide. Bookmark the permalink. What a sincere and blessed capsule for your last day. God bless you Lana and thanks son for sharing such an uplifting and real connection.